Spring to me is all about a fresh face. Most weekends are reserved for care-free hair and a “no makeup” makeup. When the weather gets warmer I typically keep it easy on my face and will just apply a BB cream, a little liner, some mascara, and a lip balm. Although I do have a thing for department store products, there are some essentials that I must have on-hand that I pick up at the drugstore. I typically will either shop at Wal-Mart or Superstore for my cosmetic needs as they have the best prices. For a perfect fresh face, the essentials I would say are a good cleanser and moisturizer, a mascara to open up those eyes, and a lip balm to keep your lips moisturized (preferably tinted to add some colour). After a long day, have some makeup-removing wipes on hand to wash it all off. If you are on a budget, a perfect cleanser would be the Aveeno Positively Radiant Makeup Removing Cleanser, which will not only wash your face but remove your makeup (trust me, after a long night out, the last thing you want to do is clean all your makeup off. This product is the perfect two in one). The product comes in a pump bottle that dispenses foam product and lathers up perfectly on your face. I typically use a Clarisonic at night, but if I am in a rush, this is the perfect cleanser for getting the job done. 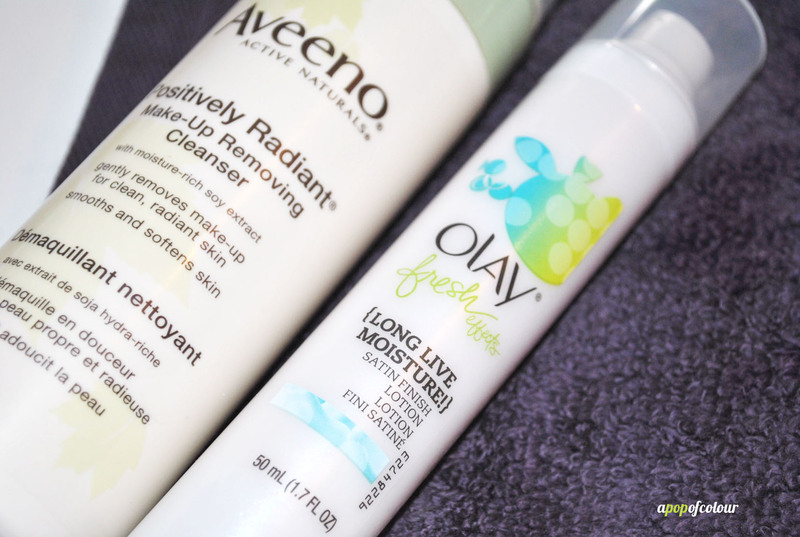 To follow up, try Olay’s new Fresh Effects Satin Finish moisturizer, which is an oil-free moisturizer that leaves your skin looking smooth (plus, I love the fun spring packaging, I’m a sucker for branding). To add some oomph to your face, apply a black eyeliner, like Physician’s Formula Eye Definer in black, which is retractable, hence there is no need for a sharpener, and then layer on some coats of mascara, like Almay’s One Coat Triple Effect mascara (this is a really great drugstore mascara – review coming soon!). Lastly, keep those lips moisturized with Burt Bee’s Tinted Lip Balm that comes in a variety of different shades, so not only will your lips feel fresh, but they will also look good too. 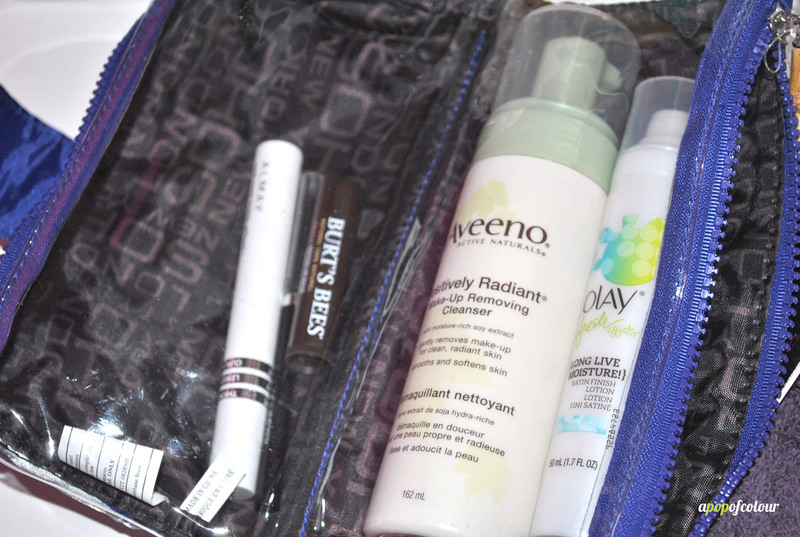 My last essential would be makeup-removing wipes, which really come in handy. Mascara on your lids? Made a mistake with your eyeliner? Get rid of any mistakes with some cleansing towelettes, like the Equate ones from Wal-Mart. I have tried a number of different makeup wipes and although these aren’t my favourite (I found the towelettes to be a bit dry), they are at an affordable price and they do get the job done. 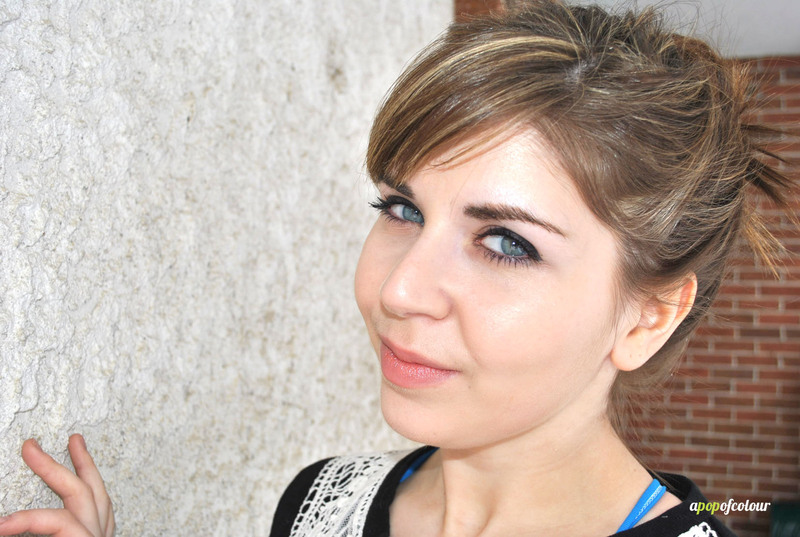 Spring beauty doesn’t have to be about a full-done face. Start with your skin and then enhance what you already have. It also doesn’t have to be expensive. As I try out more drugstore products I have really been finding that I have been loving what is out there and that sometimes a less expensive product can be just as good as one triple its price. What are your spring beauty essentials? 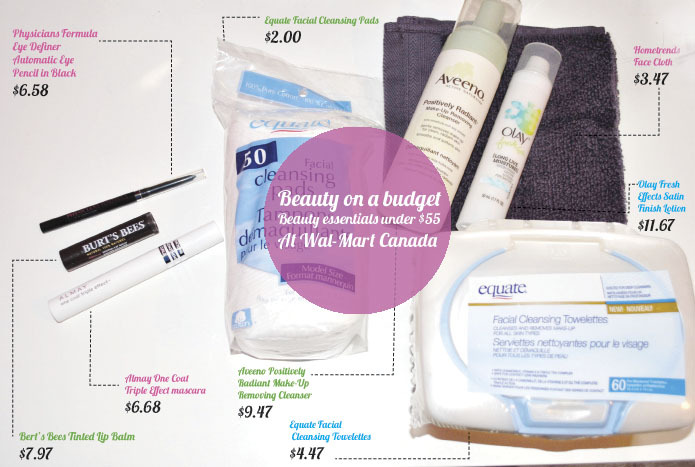 All of the above mentioned products can be found at Wal-Mart Canada. Please note, I was sent these products for review, all opinions are my own. « Glamour-eyes! Red lip. Winged liner. A tutorial.